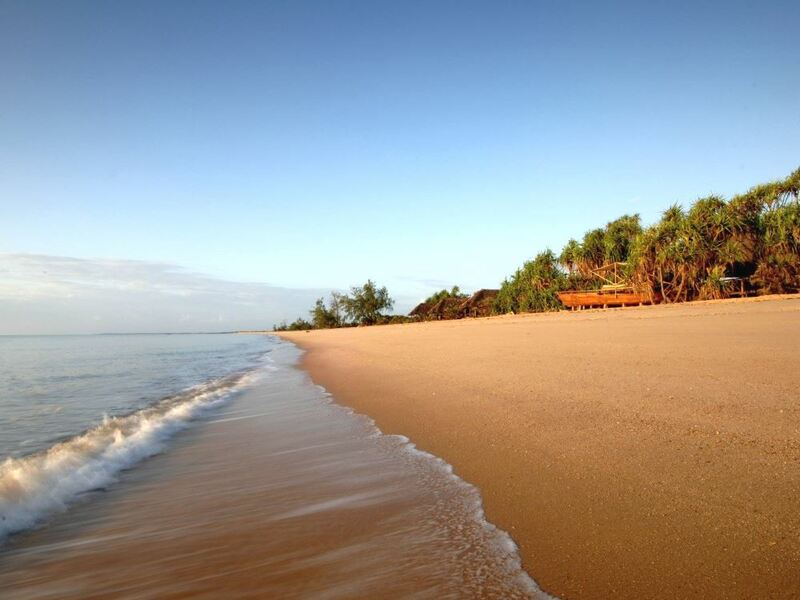 If you really want to get away from it all, then Anvil Bay's splendidly isolated location in the Maputo Elephant Reserve is about as secluded as beach lodges get! Makes a great combination stay in conjunction with the game lodges of the greater Kruger area - get your fix of safari and then head to the beach to wash off the dust and relax at the beach! 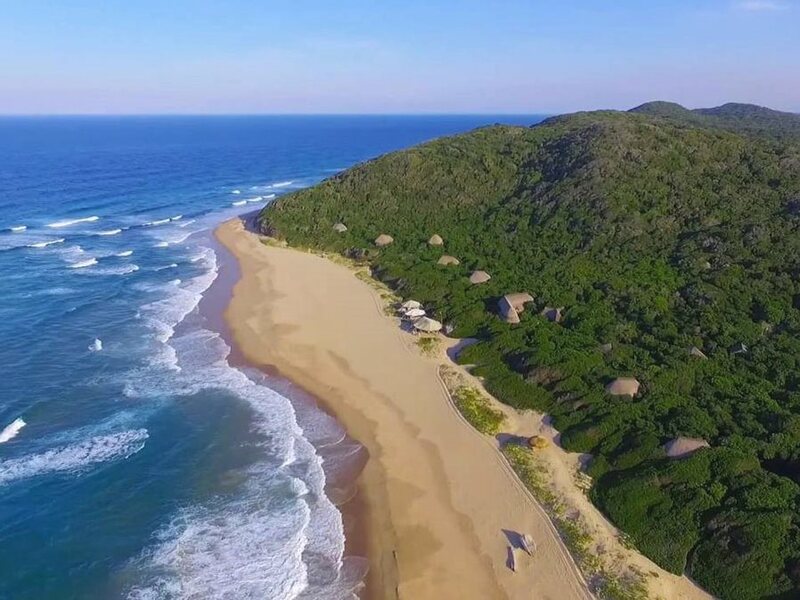 Anvil Bay is a private and exclusive barefoot beach camp on a rare untouched stretch of coastal wilderness in Mozambique’s most southern national park, the Maputo Elephant Reserve. 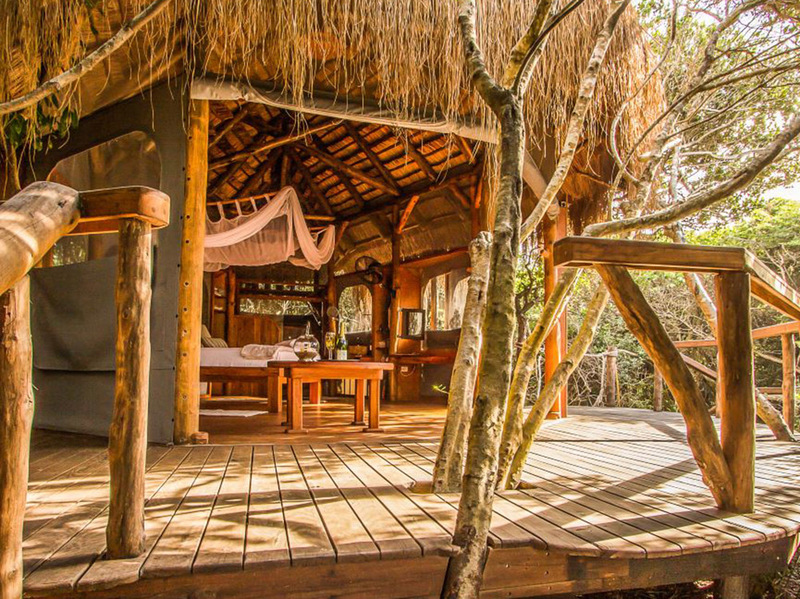 Created with the smallest possible footprint to preserve the wilderness and special sense of place, the camp is set up on the beach under canvas and thatch. Just 9 Casinhas are nestled in the dune forest on stilted wooden decks each with its own stretch of beachfront. The lure of Africa is to experience the wilderness as it’s been for thousands of years. Anvil Bay is a gloriously isolated beach in Africa where it remains as it’s been for thousands of years. On a rare unspoiled stretch of beach, guests get to experience life close to nature but with all the comforts of home. 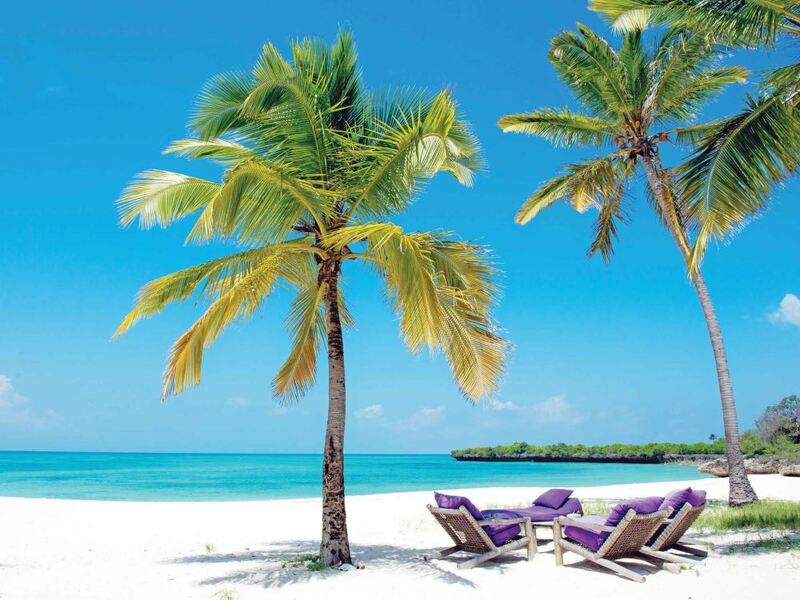 The perfect beach holiday to just relax and recover from a strenuous overland safari. Or go on new adventures at sea on the beach or exploring the lakes, forests and savannas of the park. Canvas tents provide shade on the beach and a thatched retreat in the forest shelter from occasional storms. The beach bar lounge and restaurant are centrally positioned on the bay with the accommodations either side, so guests can book to be close to the action or enjoy even more isolation on the north and south ends. 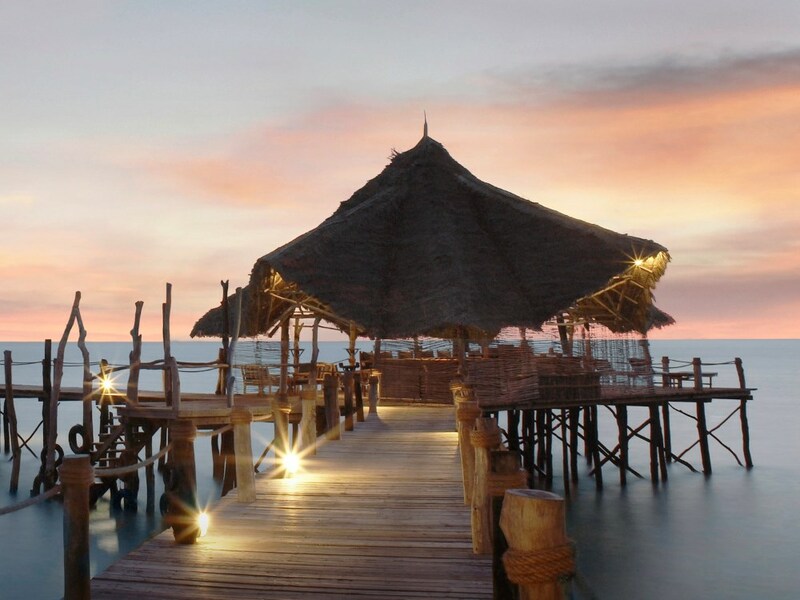 The accommodations, called Casinhas (a little home in Mozambique), are nestled in the canopy of the coastal forest just a few steps away from the secluded white sand beach. They blend a small footprint, natural materials and local craftsmanship with simple functional furnishings and fine linen. The romantic rooms are utterly gorgeous and remind us very much of a stylish game lodge located on the beach, their thatch and canvas design taking advantage of the cooling ocean breezes with canvas sides that can be rolled up to truly get in touch with the natural surrounds. Gorgeous handcrafted wooden furniture and fixtures lends a rustic yet luxurious feel and the sense of romance is heightened by the drapes of the mosquito net. Outdoor lighting has been kept to a minimum to better see the majestic African night sky and also so as not to disturb the turtles in nesting season. Designed to be your home from home you will find a well-stocked minibar and beverage station, luxury indoor and outdoor showers and a private dining deck en-suite. There’s more than enough activities to keep you occupied too. You can discover the world below the surface of the sparkling Indian Ocean by taking a snorkelling trip, travelling a short distance by boat to one of the lodge’s exclusive coral reef snorkelling sites where you will be able to spend time observing the diverse marine life found at Anvil Bay. Then there are sea kayaks in which you can explore the surrounding seas, stand up paddleboards as well as boogie boards to have fun in the waves rolling into the lodge’s beach. Further afield there’s the opportunity to go on an ocean safari to encounter marine life such as dolphins, manta rays and whale sharks; during the winter month the chance to see the impressive humpback whales that migrate along this coast annually; you can also go in search of some of the best big game fishing in the world! Back on shore, there’s the opportunity of course to head off on long beach walks or to explore the surrounding dune forest on foot, whilst another great option is to head off on bikes equipped with special fat tyres to aid riding along the sands of the beach! Heading back at the lodge you’ll be pampered by the very friendly staff, always ready to serve you an ice-cold beer or tropical cocktail before you indulge in another delicious meal under the stars courtesy of the talented chef! This ultimately is your chance to escape to a world of simple pleasures and lifetime memories. Sunrises over the ocean and sunsets across the park’s pristine lakes and vast savannas. Evenings under the stars around a campfire. Miles of untouched beaches and an ocean teeming with marine life to explore. Anvil Bay is a dream destination for nature lovers in search of the perfect “get away from it all” wilderness beach experience.